Our Brother Jason Milligan is a phenomenal brother indeed. Not only is he the youth minister at the Lincoln Avenue congregation, but he also works diligently with the young adults, and is the choir director of the spirit filled group Adoration. However, his ministry does not stop there; he spreads his love of Christ across the United States as he goes to various states to help build-up State Youth Conferences and the National Youth Conference. He also sings with The Los Angeles Mass Choir in order to uplift the saints and unbelievers here in Southern California. As a child, Jason was always excited and overjoyed to be involved in Bible studies, choir performances, skits, and various events of fellowship. On June 30, 2002, at the age of 12, he made the best decision of his life, and that was to be baptized and allow God to add him to the one body; the church of Christ. Ever since then, Jason has worked hard at the Lincoln Avenue Congregation, planning and helping wherever he was needed. At the age of fifteen, he helped start the dynamic group Adoration, which has been going strong for the past 7 years. At the age of 16, Jason began teaching Bible classes to his own age group and became more and more confident and studious as time went by. He was overjoyed when his friend decided to put on Christ in baptism in 2006, because the Lord used Jason as a teaching tool for the gospel. In 2007, Jason got the 6th overall best individual score in Bible Bowl, missing only 7 questions out of 100. 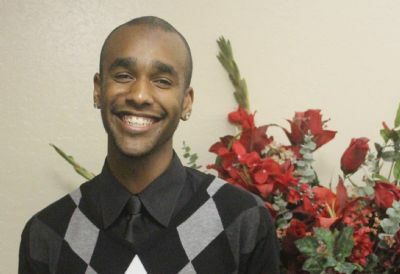 In 2010, Jason ran and won the title for Mr. California State Youth Conference, presenting a speech in four different languages on the significance of prayer, and acting out a monologue on the desire to make Heaven his home. Jason takes his job as a soldier for the Lord very seriously. For the past two years, Jason has been signing spiritual songs in American Sign Language. One of his future goals is to become fluent and certified in American Sign Language and reach out to the deaf community and teach them the gospel. He also plans to build a spiritual group of young people through his youth ministry. Lastly, he plans to take Adoration to new heights, reaching out to unbelievers across the country, and spreading the gospel through song. Jason Milligan is definitely a lover and worker of the Lord, and we continue to encourage him as he works for the kingdom of the Lord.